10 physical cores, 20 logical cores thanks to SMT! The Intel Core i9-7900X offers an incredible 44 PCIe lanes for GPU connectivity as well as allowing NVME-SSDs direct access to the CPU and maintains a 3,3 GHz base clock. When required this CPU can activate all cores with Turbo Boost 2.0 and increase the frequency to a 4,3 GHz boost clock, with Boost Max 3.0 even allowing a maximum 4,5 GHz to be reached. Thanks to the unlocked multiplier the Intel Core i9-7900X can also be overclocked even further. Sufficient cooling is important for overclocking since the TDP of the CPU reaches 140 Watts prior to overclocking. The Intel Core i9 Skylake-X generation of processors additionally provide an extra AVX-512 FMA Controller (Fused Multiply-Add) on the CPU die, which augments the available 256-bit FMA Controllers on all Skylake-X CPUS. This is what allows the register bandwidth to be doubled to a total of 512-bit when compared to Skylake-gen processors. The 10 cores of the Intel Core i9-7900X are essentially doubled, meaning up to 20 threads can be processed simultaneously by this extreme CPU. As a result the Intel Core i9-7900X is not only a true performance beast in all things gaming, but also handles even high-res 4K video and VR content with ease. Additionally the maximum of four DDR4 memory modules using a Quad-Channel interface can reach a frequency of 2.666MHz without overclocking, a frequency easily attainable on virtually all X299 motherboards. 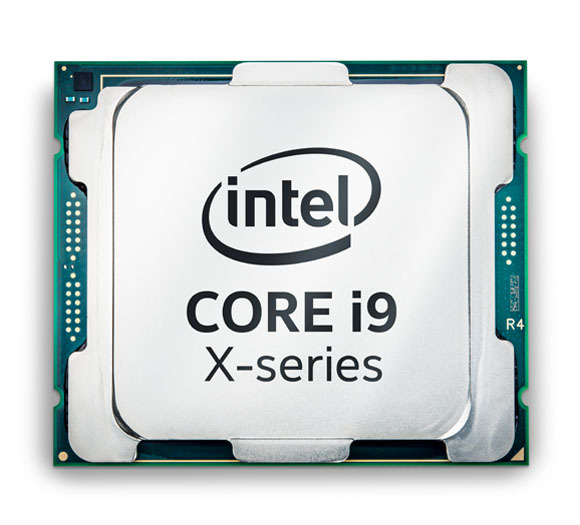 More links for "Core i9-7900X 3.3GHz (Skylake X / Basin Falls) Socket LGA2066 Processor - OEM"
"A brute force approach that has the finesse of a bulldozer smashing through performance barriers. Intel’s Core i9-7900X is, overall, the fastest consumer processor on the planet and can overclock to impressive speeds for a 10-core chip. Just make sure you do not expect reasonable thermal performance, low power consumption… or much change out of £1000."